Hey there!!! No post yesterday, but how about one today to make up for it. I know I have been slacking on the posts lately but I am going to try to get back into my groove and starting posting my usual three times a week. 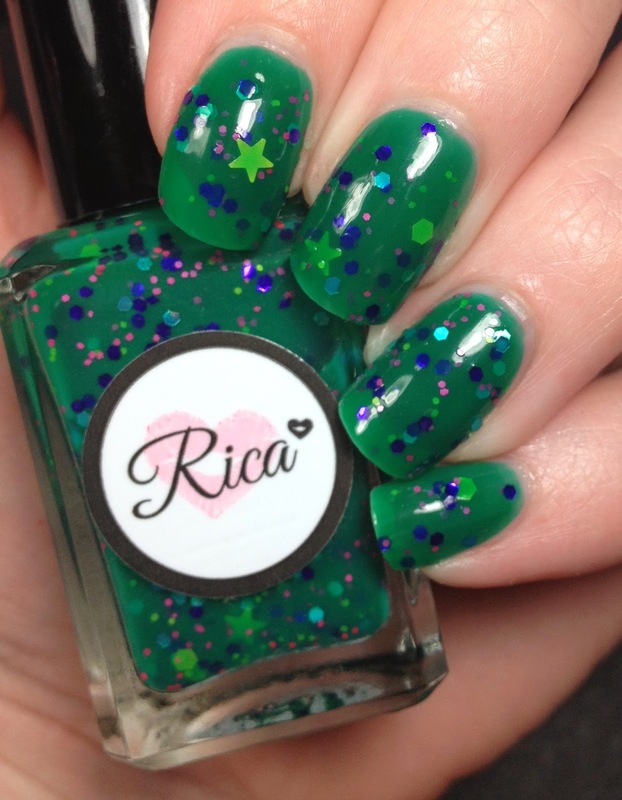 How about to make up for nothing yesterday I show you a couple new polishes from Rica?? 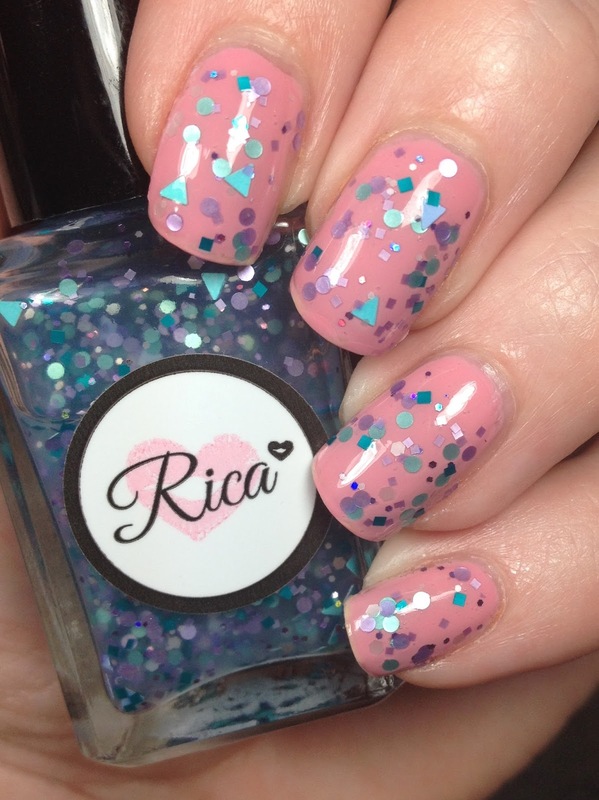 Ricarda was kind enough to send me two polishes from her new The Ocean Breathes collection. The first one is If These Narwhals Could Talk. 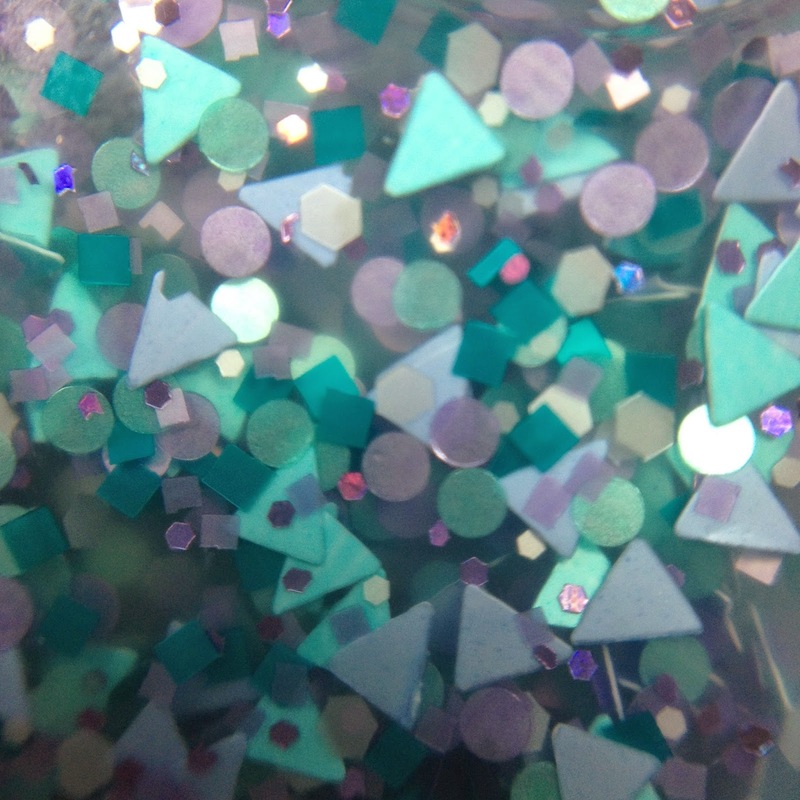 If These Narwhals Could Talk is a glitter topper that, according to the shop, is filled with various cool colored glitters in squares, dots, hexes and triangles. That's right, more triangles. I am digging them so much. 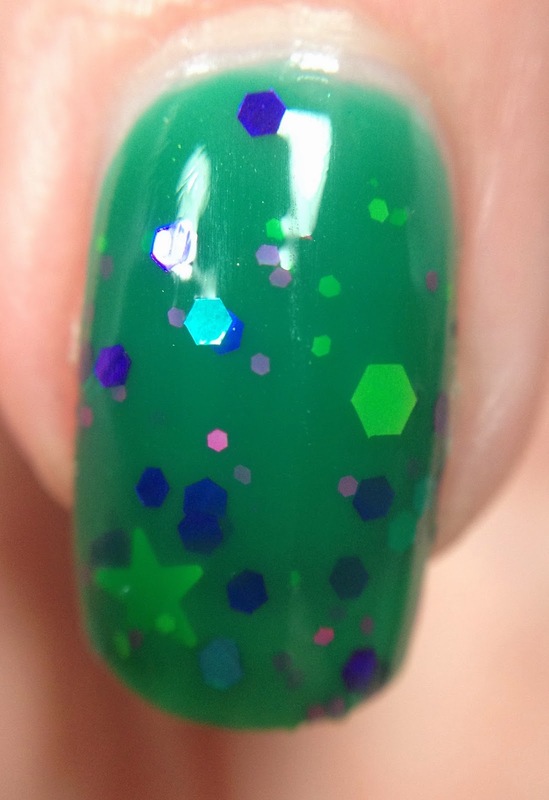 In the photos below I have two coats of ITNCT over Sally Hansen You're Crabby (from their newest collection but more on that later) and I topped it with Glossy Glam also from Rica. 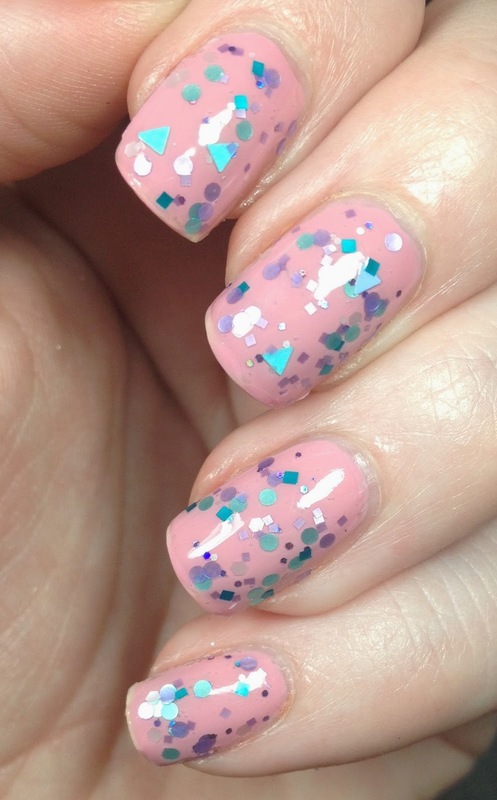 There was no fishing for glitter and it was easy to apply. 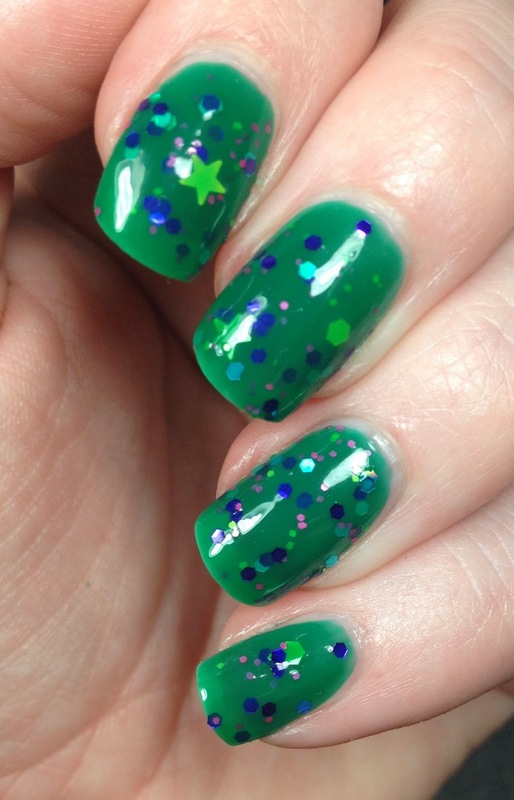 The other polish I got was Hold Your Seahorses. Let me stop and just take a moment to say that I love the names of these polishes. They are so creative. 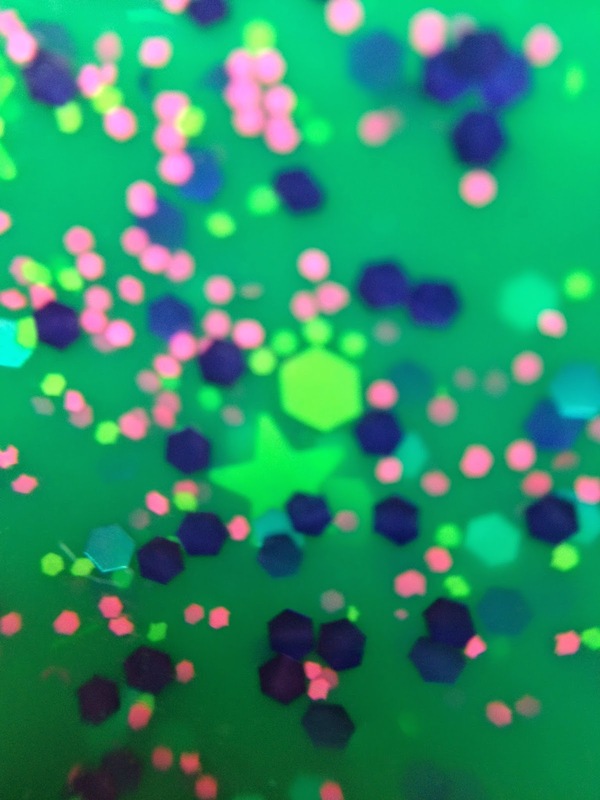 So the site lists Hold Your Seahorses as a teal-greenish jelly filled with colorful glitters of various shapes and colors. It has STARS in it y'all, STARS!!! 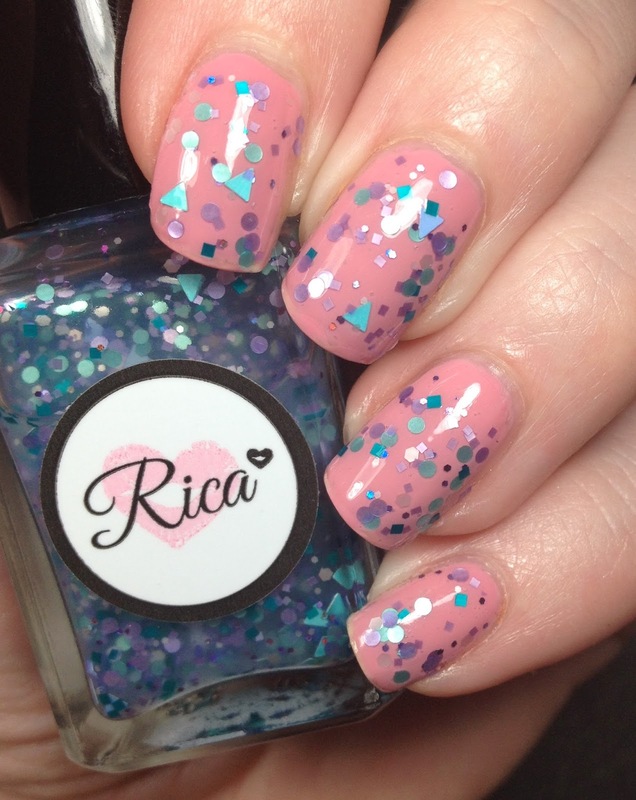 In these photos I used three thin coats of Hold Your Seahorses and I topped it with Glossy Glam from Rica. I opted for three thin coats because I didn't want to use undies, with three coats is almost gets rid of visible nail line. I had to dig a teeny bit for the stars, but I think it's because of their surface area. It tends to work that way with stars. What do you think of these two? I loved them, there are a couple more that I want. My eyes tend to outspend my wallet though. Does that happen to you? I just bought and received her new GNOME box and I can't wait to share it with you. 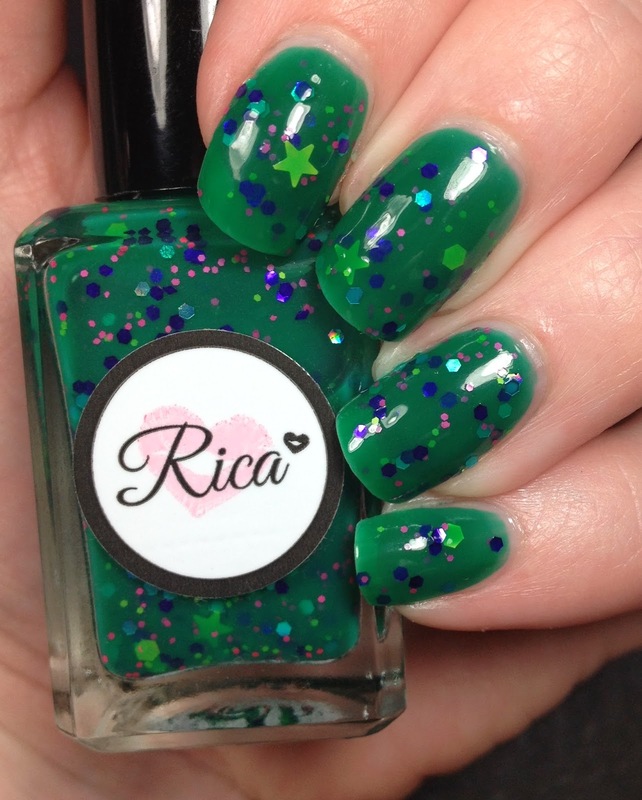 I'm loving that Rica glitter! 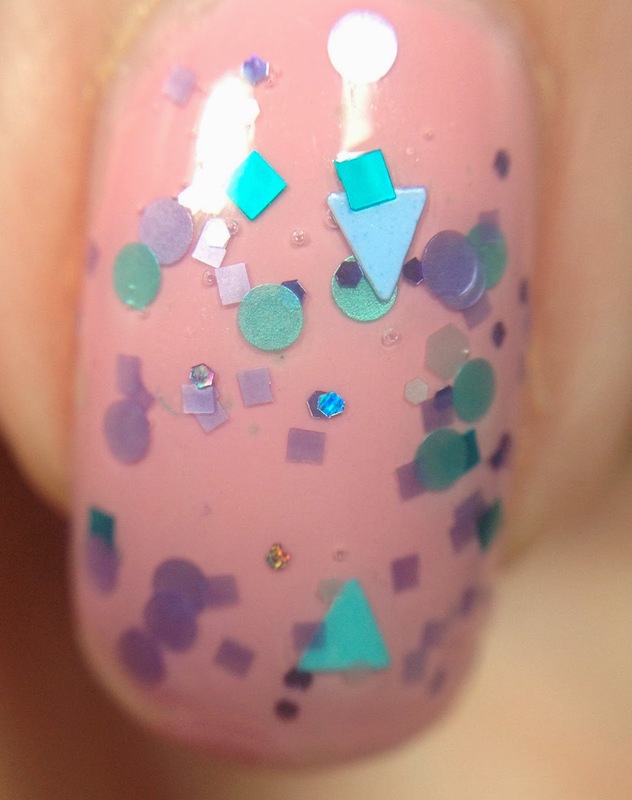 Its so interesting with the circle and triangle glitter pieces too.